Daytona Beach Radio is a new weekly radio show on JOY 106.3 in the Daytona Beach area. Hosted by Dr. L. Ronald Durham, this one-hour, talk-radio show will air on Thursdays from noon to 1 p.m. Programming will feature timely and interesting discussions about projects and initiatives happening in our local community. 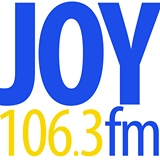 Listeners can tune in locally at 106.3 on the FM radio dial, online from JOY106.3's website or by using the TuneIn Radio app on smartphones and tablets.